CigarsCase is the ultimate solution to having everything you need with you at any time of the day. A sophisticated compromise between storing and transporting your beloved cigars and your indispensable accessories. Stylish, comfortable, lightweight, practical… in a single word INSEPARABLE. Italian pellets have been doing school for centuries. Appealed and appreciated in the Royal Courts of all Europe, today Italian tannery is undoubtedly the best in the world. CigarsCase was born from the work of these unique artists. Only highest quality Italian skins are used for its creation. For the exterior calf, the first flower, soft and elastic but at the same time resistant and virtually eternal; while the inside of the wild boar with its thousand shades and reflections. 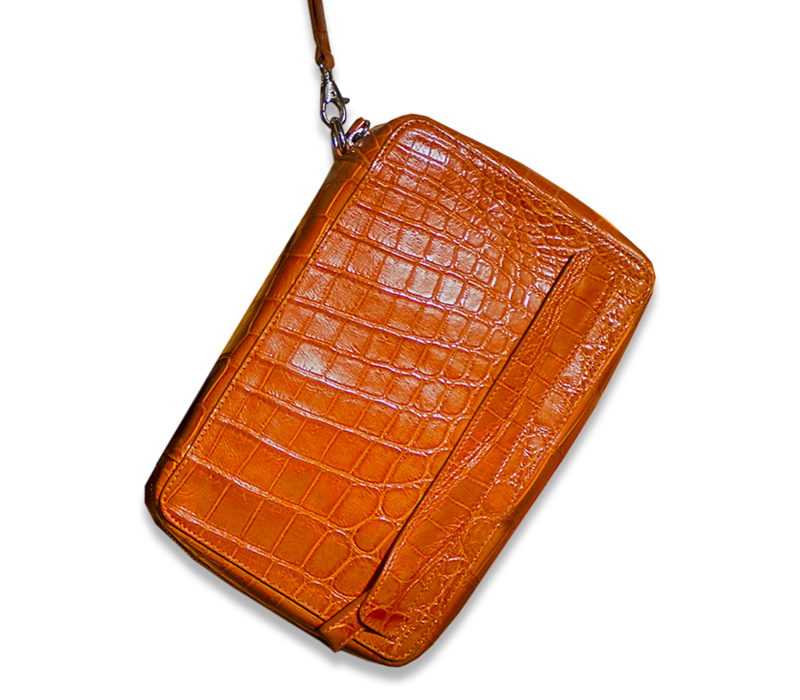 CigarsCase is entirely hand-crafted by Italian craftman, the best in the world for quality and attention to details. The result: A Masterpiece of Italian Manufacturing. The large color folder allows, on request, a customization of your CigarsCase to make it unique. The possibilities are endless, you can choose the color of the outer skin and the interior or opt for contrast stitching. 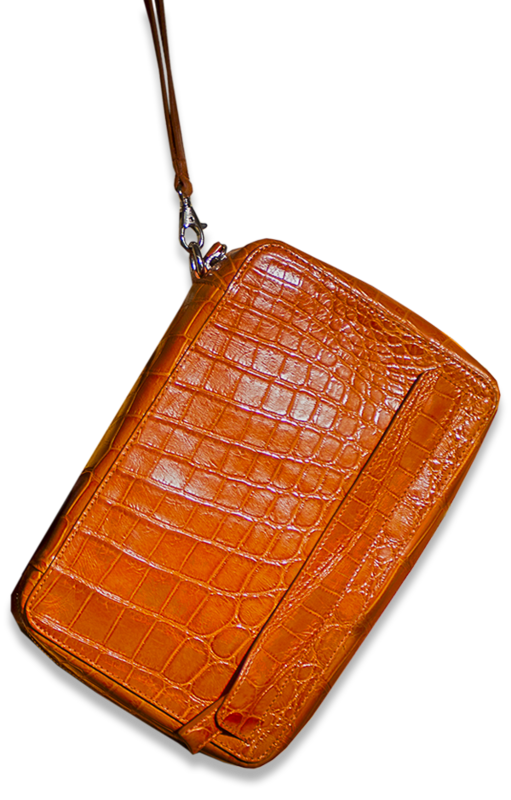 For the most demanding, there is also the possibility of choosing between precious skins such as ostrich and crocodile. In the cigar pocket, the handmade cedar box guarantees the microclimate ideal for your precious cigars. Cedar wood, in addition to protecting it from tobacco pests, is able naturally to absorb or releasing humidity as needed, creating the ideal microclimate and at the same time giving it a distinctive flavor. CigarsCase has been studied in every aspect of it. Each pocket is lined with wild boar or alcantara so you can protect your line accessories or any impact. The pouches guarantee a secure closure so you will not find your accessories scattered inside the CigarsCase during the day. The zipper fastening mechanism is carefully constructed to open smoothly, it’s resistant and elegant. The practical wrist allows you to have hands free at all times. CigarsCase is born from the need to have your loved cigars always at your fingertips and everything you need for your days, while at the same time having a unique accessory from which you will no longer be separated, using the finest hides and finishing in the finest details. Every year will be presented an Annual Limited Edition that will be sold exclusively online. It will be characterized by unique details, an even more exclusive piece that can’t be replicated anymore. Discover the Limited Edition 2018! Find the list of all our authorized retailers and buy the CigarsCase products directly in the store.